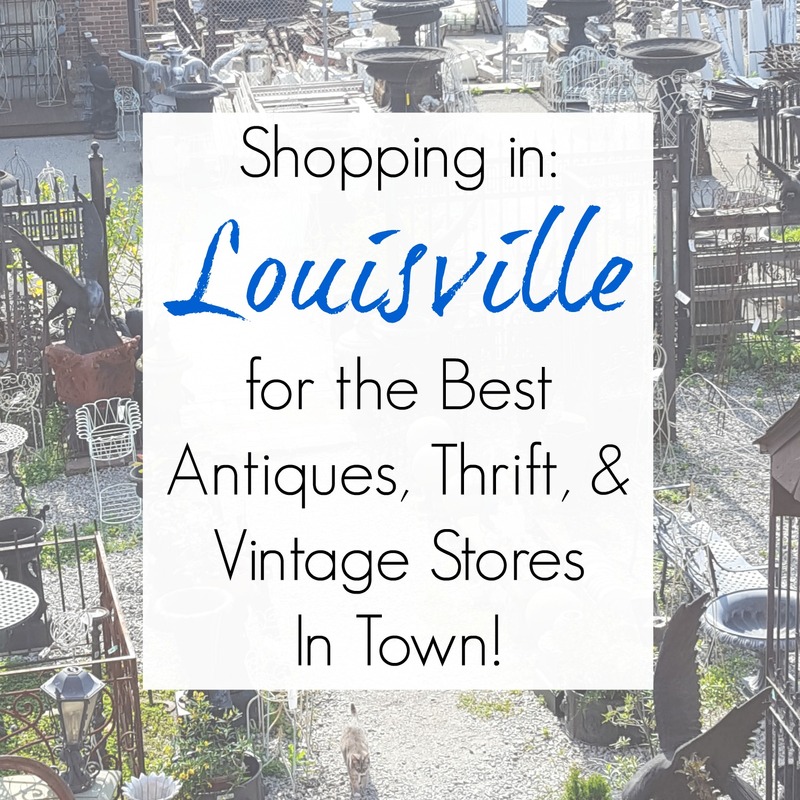 Shopping in Louisville, KY for the Best Antiques, Vintage, and Thrift Stores! So, this is the ultimate architectural salvage yard in Louisville, KY and I couldn’t have imagined in my wildest dreams how amazing it would be. It is a mind-boggling labyrinth of rooms, hallways, stairwells, and yards…filled with salvaged treasures…all bewilderingly connected, almost encouraging you to get lost. Which I did…over and over again…even Jon with his innate sense of direction got turned around. But, neither of us minded one bit. 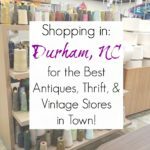 There is truth to the saying “Not all thrift stores are created equal”…and if that’s not even a saying, it really ought to be! Not only because it’s the absolute truth, but because shops like One for All really stand out. It’s a two-story gem filled with a really impressive clothing selection and a terrific selection of housewares and home décor pieces. 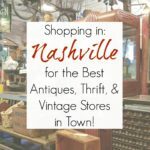 So if you’re looking for thrift stores in Louisville, KY, make sure you put this one on your list. 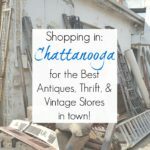 Before our trip, I always research endlessly for the best antique stores to hit- and this one popped up on my radar as a place Jon would love. I knew it wouldn’t be a shop that would yield anything for a potential blog project- and I was right- but in the end, I loved it, too! The nostalgia factor is worth the trip alone – but perhaps the most exciting find for me was a vintage aqua toy truck. Finding the perfect one has been on my pickin’ bucket list for a long time! Mellwood came up in my research of antique stores in Louisville, KY because of the flea market they host once a month from April through October. Of course, our weekend didn’t match up with their schedule- darn that Murphy and his annoying law!- but we visited this massive mall nonetheless! Those in the know will tell you that Joe Ley Antiques is a Louisville experience that shouldn’t be missed- and they are absolutely right! Set in a turn-of-the-20th-century schoolhouse (so you KNOW it’s a little cool/creepy already), Joe Ley is a series of three creeky floors of antiques and architectural salvage. But here’s more enticement- when you enter, you are given a decoder because the prices are encrypted! It’s like being dropped into a Victorian spy thriller while you’re surrounded by fantastical relics of the past- AND you’re hunting for the perfect, unique treasure. Surprise, surprise- of course I sought out a pet-charity thrift shop, they’re my favorite kind! Re-Tail was probably my favorite Louisville thrift store – plenty of vintage-y goodness, so you know I was a happy camper. I can’t help but spend money in animal-aid shops, so I left with a bagful for goodies. Another shop that I’d definitely re-visit next time we’re in town. 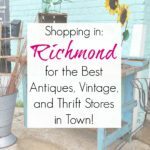 As you know, stores open and close all the time- and at the time this was written (July 2016), these were my favorite antiques, vintage, architectural salvage, and thrift stores in Louisville, KY. Now that several years have passed, I’d love to hear your thoughts. Are there new antiques stores or thrift stores in the Louisville area that I should check out? I’m a new follower, I believe I found you through Pinterest, dying a clutch a fabulous shade of turquoise. I really enjoyed this posting. I did a bit of antiquing last week in Adamstown, Pa and I get it! I will most definitely keep Louisville in mind for a future trip. It looks delightful! Wow, what a fun tour! I’m getting the bug, but can’t get out due to broken bones this summer. You shoulda shown us your purchases, but guess that’s coming, right? Tickled Pink is one of my favs, but because they are Pickers they are closed on Fridays and Saturdays. They reserve those days to go to estate sales and yard sales. That being said I haven’t been to tickled pink in a long time but I should definitely go soon. It sounds like you had a wonderful time in my hometown. I had read about Tickled Pink but saw that they were closed!! And I also meant to call you in advance to remind you that were coming…but forgot to do so…and I didn’t want to put you on the spot once we were there. Bah!!! Will definitely plan better next time. I will certainly reference this post the next time I am near Louisville. I would especially like to go to the architectural salvage warehouse and Joe Ley Antiques. I am in Illinois and I’ve heard of Joey Ley Antiques. 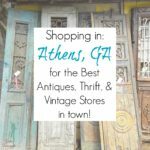 Architectural Salvage was my favorite by far- you will NOT be disappointed! When your post title was for Louisville, I wondered if you’d go to Joe Key. Isn’t that pricing system the wildest thing? I think you nailed the description. Haven’t been to any of the others, but your trip sure looked like a great tour for junkies like us. Always a treat to read these tour posts of yours, Sarah. Thanks! We live about an hour and a half from Louisville! This would be fun to do sometime (without the kids of course!). These are some really neat shops! Thanks for sharing at the Family Joy Linkup! How fun! So many great places close together!! Love the turquoise truck too! So glad you liked your visit to our fair state of Kentucky. When you come back to Lexington where I lived for a bit, you might want to venture north about 20 minutes to Georgetown, now my home. Our main street has several antique stores. I’m originally from the Mammoth Cave which is a part of KY you must put on your list. Junkin and good bourbon go hand in hand to me! What a lovely trip. I love the photos. Seems like you’ve had a great time and to be honest you made me a bit jelly, but Kentucky is destination which is in my travel list now. :-O I’m in awe of the first place – I want to go and get lost in there! Oh my. And your little blue truck – perfection! What fun. Thanks for taking us along. Sarah, this is a great tour of Louisville. We were there years ago for The Kentucky Derby and had a fabulous time. Next time we go, I’ll be sure to check out these places. Thanks for sharing this travel tour at Your Inspired Design Link Party. I would love to run across all of the architectural salvage!! We make an occasional trip to Louisville! Some day when the kids are older, I’d love to check out these places. This looks like a fun shopping trip. I can’t wait to see what you create with all of the things you got. I am putting Louisville on my list of places to go junking. Don’t know when I’ll get there but I’ll be referring back to your post when I do. 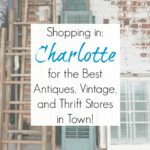 Thank you for sharing all you fantastic junking info at Vintage Charm. I moved to Louisville a few years ago and love it! The next time you’re in town, be sure to visit the Peddler’s Malls (there are several) and Yesternook in Germantown. Both are great junking places and have much better prices than some you have listed. Glad you enjoyed my beautiful city! Tickled Pink is my favorite in Louisville. It’s a two-story house, plus a basement, filled with goodies. The garage is their Rough Room, and there are items set up in the front and back yards on Sundays (weather permitting). And they recently added a second shop, right next door! They’re closed on Friday and Saturday. Sunday is their big day of the week, and it’s cash or check only on Sundays. I just received a gift certificate for Christmas and can’t wait to see what goodies I can pick with it! I really enjoyed your blog! I do have a question: I have several vintage items from the 60’s that I never did anything with including my Barbie and her beautiful clothes. What would you recommend I do so someone else could enjoy them? I would try selling them on Ebay or Etsy- most antiques stores won’t pay you much for them if you went the consignment route.